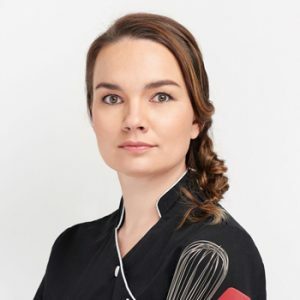 Chef Elena Krasnova was born in Russia and grew up during the “Perestroika” era when bare necessities were in great demand. It was out necessity that she developed her ability and desire to express herself through artistic means, something reflected in her culinary creations today. In her early twenties, Chef Elena moved to Vancouver, Canada where she plunged into school, collecting several degrees prior to pursuing her passion for pastry in France. It was during her studies at the famed Ferrandie Ecole de Gastronomie in Paris that Elena found her true calling. With years of experience working at Dalloyau (the oldest pastry shop in France) among others, Elena saw her career flourish and began consulting around the world. 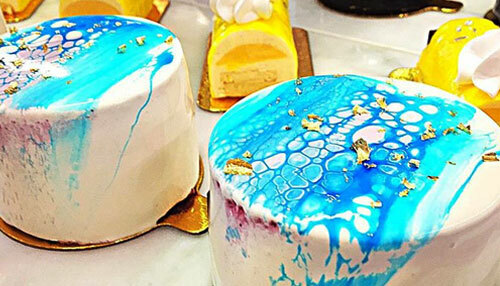 Elena’s creations have been published both in North American and Europe with her unique style garnering the attention of top pastry chefs everywhere. Chef Elena is thrilled to be opening Mon Paris Patisserie in Fall 2016, her first standalone shop located just outside Vancouver featuring more than 1000 square feet of space, complete with small café and plenty of room to create her exquisite pastries, chocolates and desserts.